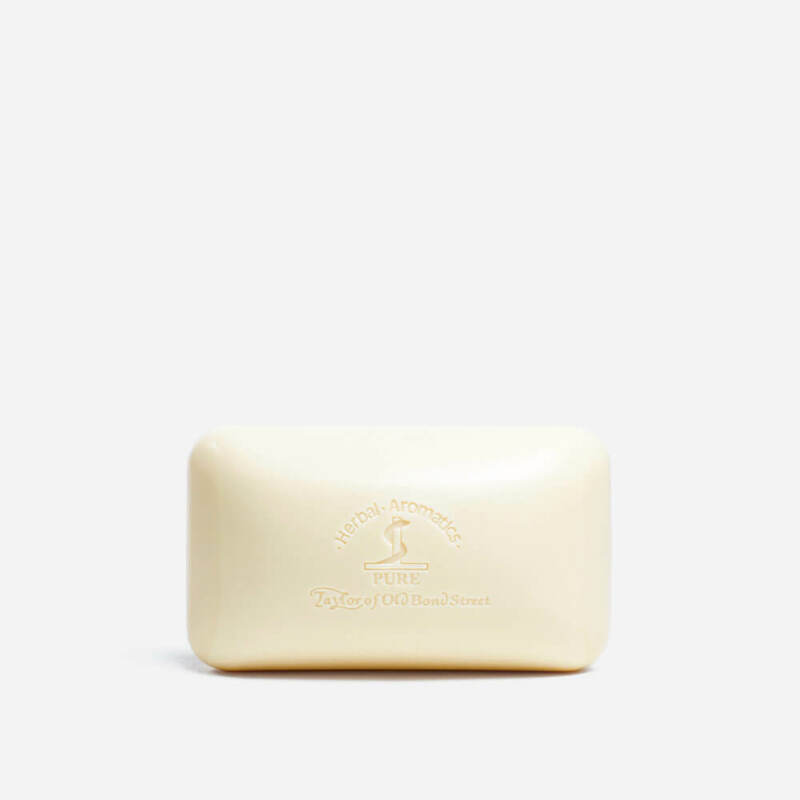 Triple-milled, natural vegetable bath soap fragranced with Taylor’s classic sandalwood scent. Solid bath soap triple-milled with a vegetable base and scented with sandalwood. Made in England. Sodium Palmate, Sodium Palm Kernelate, Aqua (Water), Glycerin, Parfum (Fragrance), Pentasodium Pentetate, Tetrasodium Etidronate, Linalool, Coumarin, Geraniol, Cinnamal, Citronellol, Benzyl Benzoate, CI 77891 (Titanium Dioxide).